In what is being called the surf community version of the Russian election scandal, multiple surf forecasting websites have been reporting solid 5-7 feet for the last four days. And, 51% of those who surfed over the period believed they were surfing head high waves. 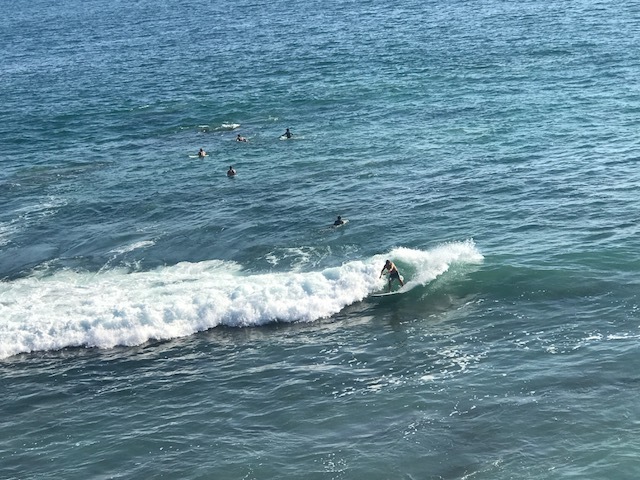 Most were confused after taking a wave, largely because most of those 51 percenters in the water were hooting and hollering shouts of encouragement. An investigation has begun. Dave, pointing out that the lineup was crowded on a Tuesday morning at 10:30am, when most people should be working, questioned if anybody really works anymore. This has led investigators to focus on those who may have had a motive, particularly those gainfully employed, who have to work everyday from 8-5 or longer, and were simply searching for schadenfreude, out of jealousy. However, nobody in the lineup was able to come up with anyone they knew who worked those sort of hours. Posted in: Prescription Surf Sunglasses, Uncategorized.